I’m having such a good month, there’s no need to complain about the weather. I don’t care if it doesn’t get above 75 degrees, I’m happy with partly cloudy and 68. So, time to catch up on the blog! I turned 37 a few weeks ago and I think that’s pretty great. For my birthday my parents took Alex and I to the fancy movie theater out in Redmond, one of my favorite things to do. And amazingly, they gave me a new car! I went to pick it out myself and got a super cute VW Tiguan. I’ve been keeping busy learning all I can about the navigation system and bluetooth music streaming so I’ll be an expert for my road trip. I’m going to rest my feet a few days and then head up to Whidbey for a night or two. From there I’ll take the ferry over to the peninsula and drive to Kalaloch where some friends and I have rented a cabin for the weekend. I’m looking forward to hanging out with them and relaxing– beach walks, bonfires, and BBQing are on the agenda! After I return, I’ll have less than a week to plan my road trip. Time is flying! August is awesome because you are! Can hardly wait to see you in September. Finn is going to love trying to catch the birds. 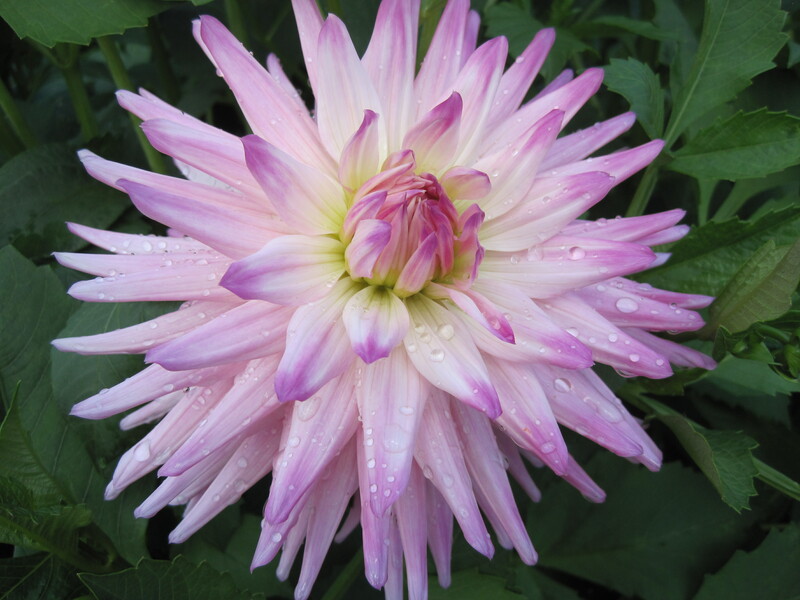 The flowers are beautiful and the colors–AMAZING! 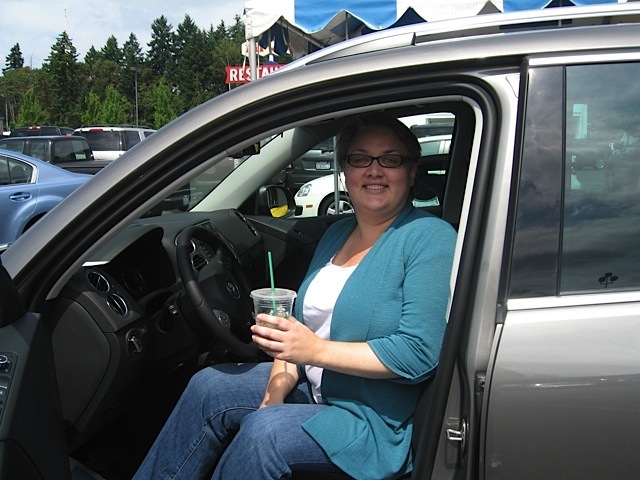 Congratulations on your new car–and enjoy it on your upcoming road trip. Karen, the pictures you took of the flowers were amazing,(and the picture of your parents!) Glad you all enjoyed your birthday getaway in Victoria, Thanks for sending the picture of your new car, glad you got it before your road trip. Looking forward to your blog from the road! Hope Finn drops Lilly a line or photo from “the road”!